On 13 July 2015 I visited Morphou again. I interviewed several Turkish Cypriot men that day, three of whom were refugees from Polis Chrysochous in the Greek-Cypriot south of Cyprus who settled in Morphou after the 1974 war. Artam was a lively and warm man who was affectionate and very open about his life. Born in 1944, Artam grew up in the mixed village of Polis Chrysochous. He speaks Turkish, Greek, and a little bit of English. Artam told me of a peaceful and happy time in his life, the period before 1963, when “we all mixed”. Cypriots – both Turkish and Greek – “would dance at each other’s weddings … and Turkish Cypriots would help make the food for Greek Cypriot baptisms”. He attended the churches in the village on many occasions to attend weddings and saint name days – whereby panayiris (festivals) would take place. He also recalls Greek Cypriots from the village attending the mosque for their celebrations and religious events. 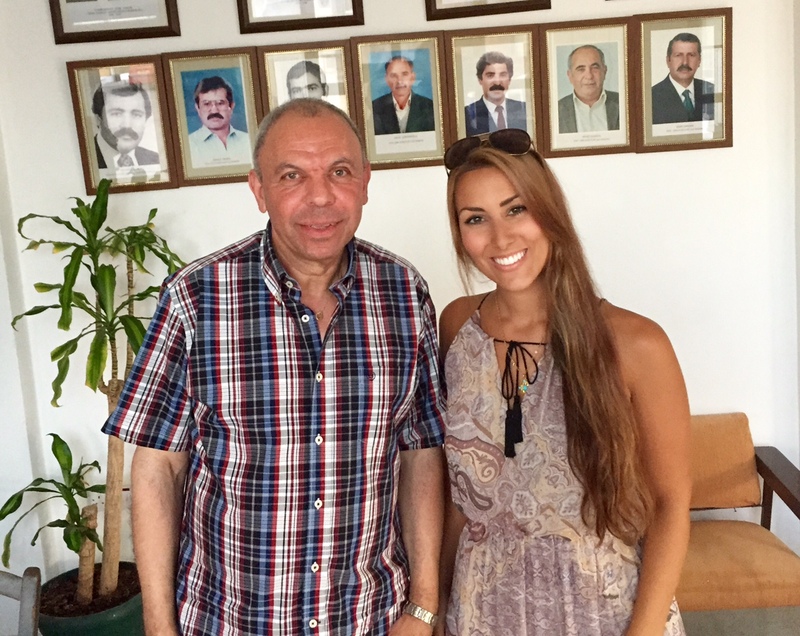 Although Artam attended the Turkish primary and secondary schools in the village, he told me that the Greek- and Turkish-Cypriot school children would play together before and after school every day. His stories paint a very harmonious and simple village life of Polis Chrysochous before 1963. In 1955 Artam’s nephew married a Greek Cypriot woman and they had children together. When I asked him how his family reacted to the intermarriage, he said that they were fine with it, there was no problem at all during that time. Artam’s family were well-off, so they did not serve in the Cyprus Regiment of the British Army during World War One or Two. His family were farmers, and Artam spent some time working with Greek Cypriots in the Limni copper mine. Artam had a ‘Cypriot’ identity as a child, however as Greek Cypriot nationalism grew during the late 1950s, he felt more Turkish Cypriot as a result. After 1963 relations between the two communities started to sour, and division also occurred within the Greek Cypriot community. Artam recalls Greek Cypriot brothers being instructed to kill each other, as one was a member of the Greek-Cypriot nationalist group EOKA, and the other was a member of the opposing socialist group AKEL. Although relations were tense from 1963, Artam still stayed friends with many Greek Cypriots of the village. Since 2003 he has crossed the border several times to visit his Greek Cypriot friends, and one of his friends has also visited him in Morphou. Ertherul had more of a reserved character compared to Artam. He was also born in Polis Chrysochous. He learnt Turkish from his family and school teachers, English from his high school teachers, and Greek from speaking with friends and neighbours in the village. He remembers that both Greek and Turkish Cypriots were koumbaroi for one another – “up until 1963”. Etherul remembers that there were linobambakoi living in the village, Cypriots who adhered to both Christianity and Islam. Ertherul recalls playing lots of traditional games with his Greek Cypriots friends as children and that both Turkish- and Greek-Cypriots served together in the Cyprus Regiment during World War Two. Ertherul remembers the event and, with reference to the PRIO Cyprus Centre, I have found the date: Due to the intercommunal conflict which began in late 1963, on 14 February 1964 all the Turkish Cypriots of Polis Chrysochous and the neighbouring village of Prodromi took refuge in the Turkish Cypriot secondary school, where they were besieged. This situation remained basically unchanged until 1968. By 1971, they had built an enclave with refugee housing. Ertherul blames the British for causing the tensions and events which led to the division of Cyprus, and hopes that the island to be reunified in his lifetime. Özcan, was very friendly and, like Artam and Ertherul, he was born in Polis Chrysochous and moved to Morphou in 1974. In 1978 he decided to visit Sweden as a tourist; he liked it so much that he decided to stay! He has lived there ever since. Özcan speaks both Turkish and Swedish! Özcan was on holidays when I met him, as he returns to Cyprus often to visit his family and friends. Özcan’s parents worked with Greek Cypriots at the Limni copper mine, and his mother also worked with Greek Cypriots picking oranges. “I was good friends with the children of the Greek Cypriots who worked with my mother…we were very close with that family”. 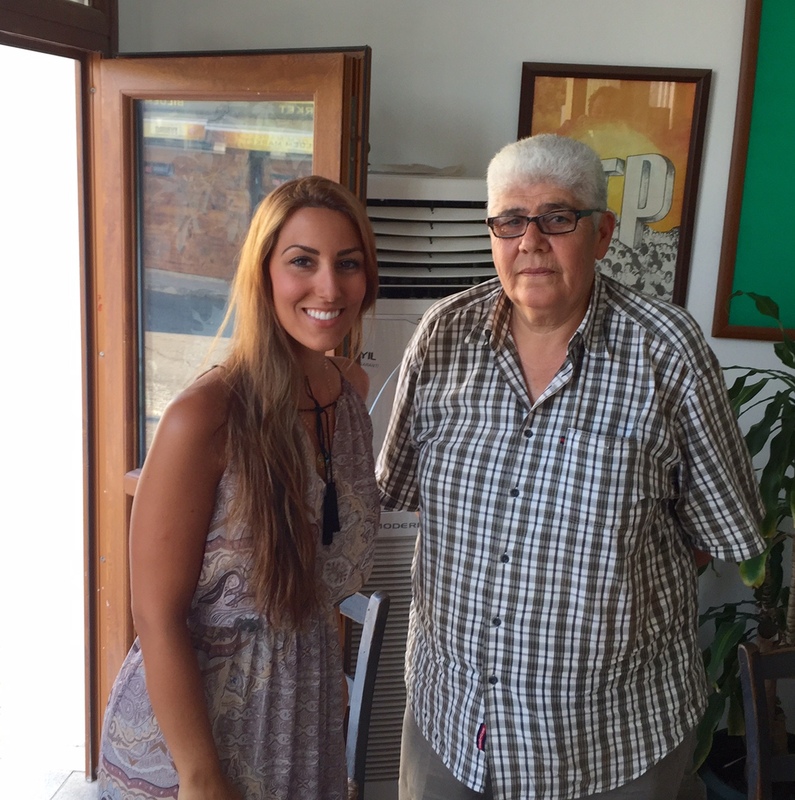 “I remember two intermarriages between Greeks and Turks, but have heard of many more”. He remembers a Turkish Cypriot man who married a Greek Cypriot woman, the woman converted to Islam and they still live in Morphou. He also remembers a Greek Cypriot man who married a Turkish Cypriot woman – this couple now live in Australia. Özcan’s identity today is 50% Cypriot Turkish and 50% Swedish and he does not have a strong religious identity. During one of his visits to Cyprus, Özcan visited Polis and met with a Greek Cypriot firend there. It was a very emotional reunion.